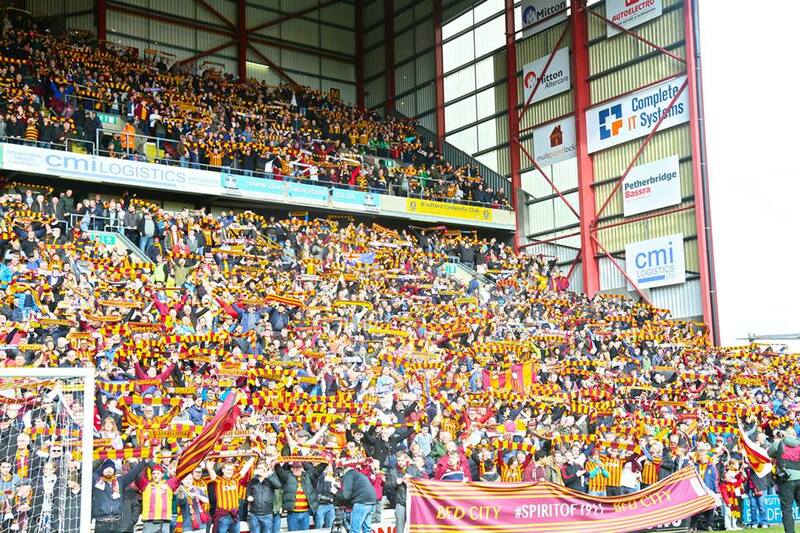 Bradford City fans of all ages have much to be grateful to Jason McKeown. Some will know him as the editor of the excellent Width of a Post website which has provided the best informed and balanced reporting of all things Bradford City over the past five years. Now he has written what will surely become the definitive record of the past 30 years in the life of our team. The period from the recovery after the tragic fire in 1985 of the old wooden stand to the current day has by any account been a roller-coaster. For fans of an older generation the colourful ups and downs of these years contrast with the grey doldrums of the previous 30 years. My own City experience as a fan started in November 1953 when my granddad took me as a seven year old to a Wednesday pm FA Cup replay when we lost 1-nil to Crewe Alexandra (how did I get off school?) after losing our goalie with a broken leg in the first 20 minutes (no subs!). It ended when I saw City recover from 2-nil down (one goal by the great Jimmy Greaves) to draw 2-2 against Spurs in the 3rd round in 1970. This was largely a period of low expectations and low performance, only illuminated by one great cup run in 1959-60 and some great centre forwards (John McCole, Derek Stokes, Bronco Layne, Rodney Green) all sold on within 12 to 18 months of breaking through, the first three to so-called ‘bigger’ Yorkshire clubs – Leeds, Huddersfield and Sheffield Wednesday. The lowest of the lows was a 7-1 defeat at home to Stockport County in September 1965 four days after a 7-1 defeat at Crewe. Just think of that! No wonder we had to apply for re-election at the end of the season – today that would have meant automatic relegation to the Conference. I left Bradford and lost the habit, despairing of my team ever going anywhere. Some 17 years later my second stage as a fan started in the ‘nearly season’ when I took my 13 year old son to a great game vs Oldham (5-3 win). He became hooked for life (though he never lived in Bradford) and I reconnected. I now attend most away games in the Midlands and South and many at Valley Parade. The book covers this period. The format of the new book is based on 12 matches that capture the highs and lows of the past 30 years with some narrative linking the times in between the matches. The events are highlighted by interviews with many of the key players and managers. In this book there are some great memories and certainly no long-term doldrums (if we can set aside 2005 to 2010). It is a story of ambition, hope and despair. One thing leads to another. Each success contains the seeds of failure, each failure the germs of success. Quoting Orson Welles, (‘A happy ending depends on when you stop the story’), Jason points out that football ’doesn’t have an ending; only new chapters’. The first high was that ‘nearly season’ (1987-88) when the manager’s ambition was not matched by the chairman of the time when the opportunity came. The second high came in the Premiership years (1999 -2001) when it was the chairman’s hubris that was too much for a more cautious manager. Can ever a decision be so inspired as to give an untried manager his head as Geoffrey Richmond did when appointing Paul Jewell? Can ever a decision be so disastrous as to fall out with that same rookie manager just two years later after he kept us in the Premier League against all the odds? In moving gradually towards a third high, dare we hope that the current regime of joint chairmen and manager will lead to another five years of stability and continued improvement, as we face the much choppier waters of the Championship (hopefully, next season)? Or are we on the verge of a new chapter with unwanted problems as the club looks for new sources of funding? Now chairmen and manager seem to respect each other and work well together. The chairmen give the manager time and the manager does not demand the earth in terms of funds. All three are realists, happy to build steadily living within their means. Let’s hope that they can continue to make things work for everyone. The club has never been in better hands in my life-time. We should all be proud of a real community club, run by chairmen who are real local fans and a manager who has a great feeling for club and fans as well as real competence as a manager. I liked one insight from the book new to me in the influence of Arsenal’s recruitment policy on Phil Parkinson when he worked for them shortly before he came to City. His emphasis on choosing only players with the right attitude and character surely builds the right foundations for success on the field. It is not enough to have a good story. You need someone to tell it and we are in Jason’s debt for this. Much of this story would be forgotten if he had not been prepared to devote countless hours to all the research and writing to make it available for fans. In short, the story is brilliantly told. The analysis, the insights and the interviews all do justice to the twists and turns of the past 30 years. Finally, it is no accident perhaps that many story-tellers have emerged during such a fertile period, and I include here all the editors and writers of award-winning City Gent and Width of a Post, as well as authors of one or two other notable books that have been published in recent years. With these publications, Jason and others have all given us something more to be proud of than just the events on the field. What has happened off the field to make those events on the field possible is almost as gripping. If you have not yet read this story of the re-invention after the fire, then now is the time to put that right. It has become an essential part of the Bradford City experience. 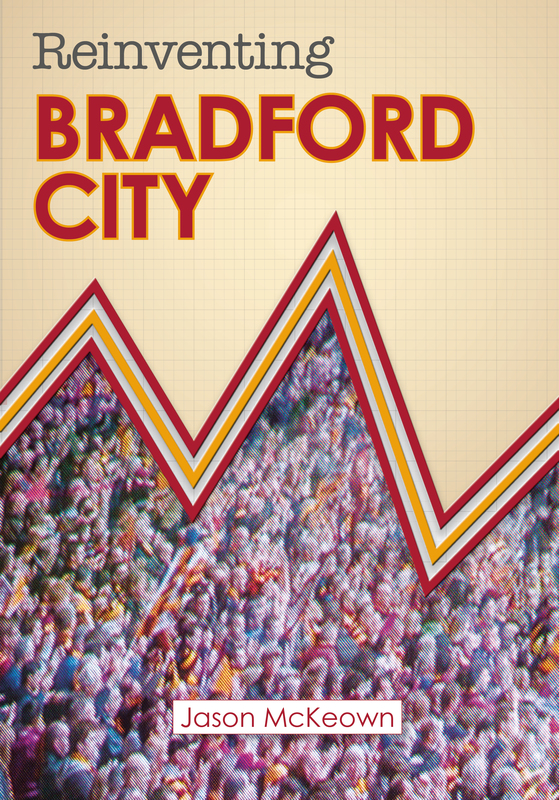 Reinventing Bradford City is now available to buy from Amazon and Bantams Banter – more details here, and the 12 featured games here. I have got half way through Jason’s book, really enjoyed it so far. Incredible to think exactly how much has changed in the last thirty years. Fantastic quality, City fans have been spoiled with the bantamspast books produced and published by fans. A superb review of a superb book. Thanks. I personally put Charlton at home in 1997 in my top five. Unlike Martin, I am a bad loser and would never highlight a defeat. I am excited about Sunday week, but hope it is a “dead” match. Then, hopefully, the play offs. The book is available in both hardback and softback format. Buy the book – but use Waterstones if you’re buying online (or I’m sure Bradford branch stock it). It’s all about multi-nationals paying their taxes !